All the art created & designed for each garment is carefully crafted by Kristine Go. Gathering inspiration from experiences, people, places & things - each design has a special story. Want to carry GO YOGA clothing at your store or studio? Wholesale is available, no minimums. To see available styles for wholesale, password is required. 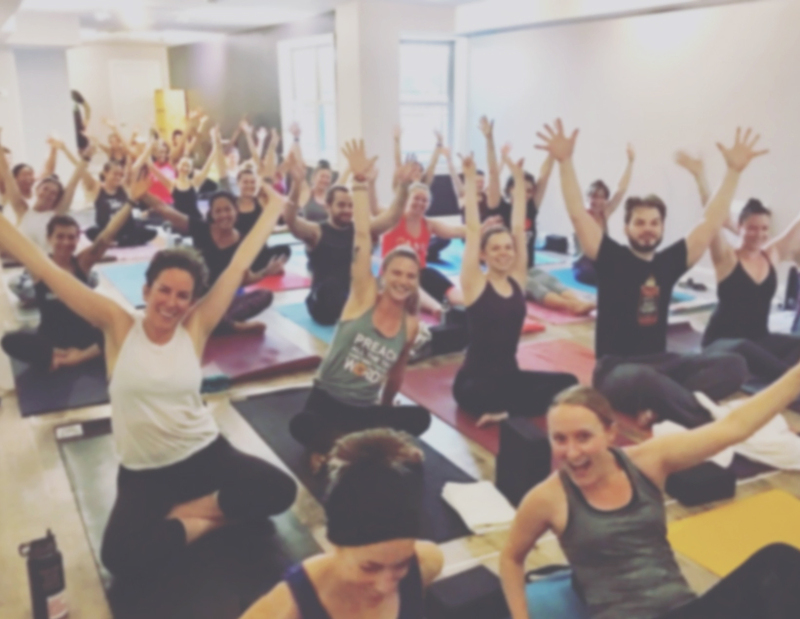 Want to host a GO YOGA pop-up shop & experience a Baptiste Power Yoga class? We love connection. How it works is you have the space & invite your community. GO YOGA will show up with the collection, Kristine Go will teach the class & we all get to know each other. Super fun & easeful. Contact us for bookings. Have an idea that you want to wear? Want to promote a personal special cause? In the spirit of co-creation, GO YOGA is available to collaborate on printed art ideas. We can work together on creating a product that you can wear & share with your community. You could buy the style for yourself, place a wholesale order & possibly be featured on the GO YOGA website. One thing we require is that 10% of sales made through the GO YOGA website go towards a charity or cause of your choice. I started GO YOGA because I wanted a platform to connect and inspire others while re-connecting with my own passion of art, design and yoga. In the past couple of years, the company has evolved to online sales, pop-up shops with yoga classes & wholesale around the US. When I started this, I had no idea of all the possibilities or opportunities. I've always had a dream to design for myself one day. October 2016, I decided to not only design for myself, but to also share it with others & start a clothing company. What I've learned on this journey is that by sharing passion, purpose and the practice of self expression - it can inspire others to fulfill and act on their own dreams. The momentum just keeps on going, which pretty much sums up what GO YOGA is all about --- keep going! Stay informed & connectedwith your email address to receive news and updates. GO YOGA is a PATTERN CURATOR passion project.